Relocation is a difficult task in today’s fast-paced life. It’s really tough to encounter all those challenges especially by yourself. But the bright side is that there is no need to – because there are skilled professionals who love to do it for you. High Level Movers are the well-known moving experts that make your entire move stress and hassle-free. We have been serving the people for more than 10 years and are happy to receive positive feedback from our clients. We move your items in a safe manner irrespective of the size, distance or complexity of it. So, if you are looking for the best moving services, High Level Movers in Toronto has everything to offer. Contact us and schedule your relocation. 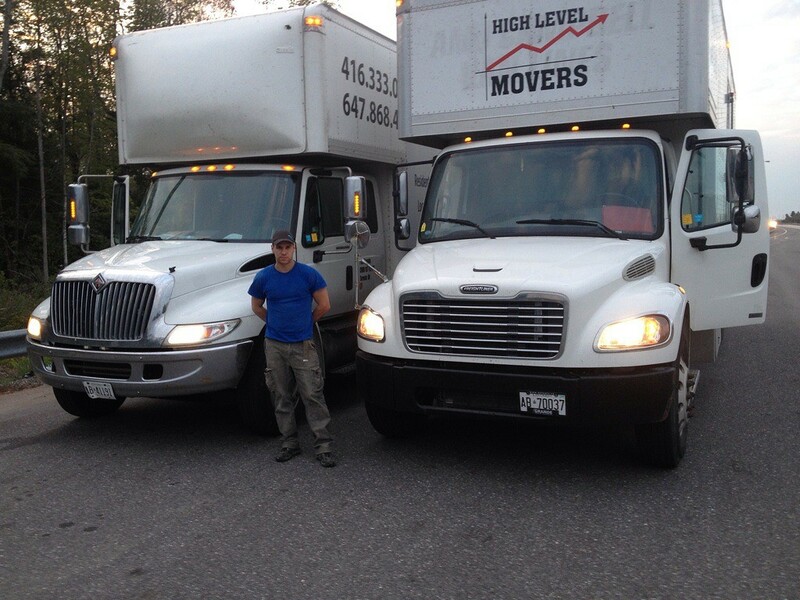 Get the best moving services Toronto has to offer – hire High Level Movers. 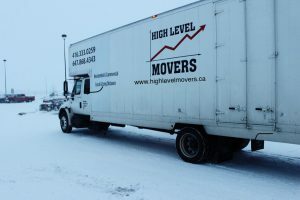 High Level Movers promises top-grade moving services in Toronto. Whatever is the volume, type, or place of your move, our proficient relocation solutions will cover up all your requirements. Our highly trained movers and packers are much familiar with the fact that every move is only one of its kind experience that calls for a unique strategy. So, we make additional efforts to make sure that every move that we execute is unique and memorable. This is why we have become the first choice of all. Most of us believe that local relocation is a straightforward mission that just can be accomplished with the help of a couple of friends and a rental truck. But this is a misconception. The reality is that if it were that easy, there would be no need for local moving professionals Toronto like High Level Movers. To execute a local move, certain traits are needed. Knowledge is considered to be the principal quality that moving experts must possess. In addition to this experience ensures that the movers are all set for an upcoming challenge. Something can always go off the beam, then why to deal with it by yourself when capable movers are there to support you. When it comes to long distance relocation, you have to think more vigilantly. However, nothing is difficult when the perfect Toronto movers and packers are there to help you out. 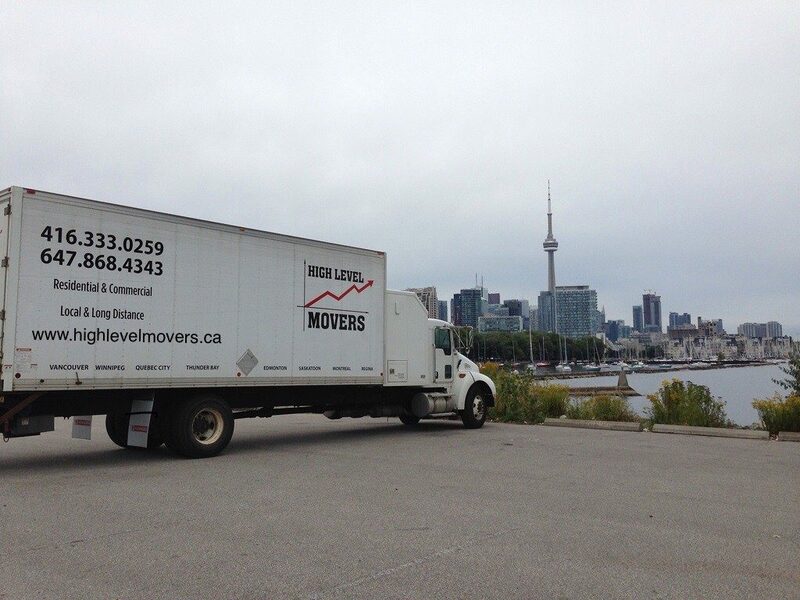 High Level Movers is reckoned as one of the best moving companies in Toronto. We are always equipped to lend a hand, whether your move is residential, real-estate or occupational. Our long-distance services help you undertake any distance. We always maintain a balance in the work we do. We believe that everybody should be able to afford us, this is why you will get moving quotes specially customized for you and more than reasonable as well. We intend to fit your wishes and budget. Our services will help you cross any distance you need. The High Level Movers commercial moving crews are well-resourced and educated to handle any commercial relocation in Toronto, whatever be the size, distance or place of your move. Moreover, we also offer residential migration services to any of your employees in Toronto. We are expert in carrying out demanding residential relocations. We strive hard to ensure that all our clients are happy with our services. We provide punctual, prearranged pickups and deliveries. High Level Movers will make moving of your home an easy and pleasant task. Moving your home will never be as easy as with the help of High Level Movers. Our professional residential movers Toronto accomplish each step of the moving process right from start to finish. All your assets are packed and loaded with the greatest care, thus minimizing the possibility of damage. You are also provided with a full record list, to avoid any loss of property. Our staff keeps communicating with our customers on a regular basis to keep them updated on their moving status at all times. All packed and ready for storage. Many hurdles come along while moving from one place to another. One always needs to be prepared for all those emergencies. Many times your belongings arrive late at their final destination or you realize that you don’t have enough space for all your items in your new home or office. The best solution to all these troubles is storage facilities in Toronto. High Level Movers plan in advance for you and help you carry out everything very smoothly. 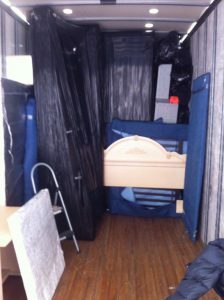 Our moving services Toronto also offer storage services. We store your goods securely until you find a place for them. Till then, our climate-controlled and reliable storage units are at your disposal. We pick up and store your items in our warehouses as if they were our own property. We deliver them to your final destination at your request. We schedule your delivery only when you are fully prepared to collect your stuff. You must be wondering that what makes us so extraordinary, as those basic types of services are provided by all moving and packing companies. Let us make it very clear that, the basic services that we provide are far superior in comparison to any other. We are aware of the fact that something extra has to be given to the clients in order to be a leader in the business. We like to go the extra mile for our clients. 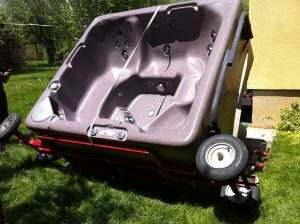 So we offer a special moving service that makes our company second to none in the moving industry. Packing is an important part of any move. Appropriate packing with the exact packing materials plays an indispensable role in keeping your things protected while being transported. This is why High Level Movers offer professional packing service. Along with providing a variety of packing combinations, that is from partial to full-service packing, we also offer the customer the use of our high-quality packing supplies. There is a complete disorder in your old and new home after everything is done and the relocation is complete. You are alone there with the chaos and with the mission to clean everything. However, there are solutions for that. High Level Movers services in Toronto takes proper care of cleaning after moving. We save your energy and tension of cleaning. It provides you with ample time to concentrate on settling into your new home. High Level Movers are able to disassemble and reassemble anything. High Level Movers have a special skill to disassemble and reassemble anything. While getting your entire house or office upturned, there will surely be some complex belongings to make your situation miserable. Some specialty stuff has to be put apart into smaller sections before packing and moving them. Such stuff needs to be disassembled in an accurate style and later reassembled. A detailed plan is required when a great task is to be undertaken. This is true for your relocation too. The earlier you start scheduling for it, the smoother it is carried out. When we are here, you need not to bother yourself. Our moving and storage crews sketch out your complete move, carry out inventory and hand over all tasks for efficient time and money management. We keep you well-versed at all times and make sure that you are part of the solution. The most horrible situation is when you discover that you need to change place, but you have no time to prepare. But there is no need to get worried about this. The most reliable last-minute moving services Toronto is the one who can help you out. No matter whenever you book your move we perform our duties with the same effectiveness. What makes High Level Movers the right choice for your relocation? No matter your relocation needs, with our expert moving services Toronto, we are the best guys for the job. Whatever be your relocation needs be, our expert moving services Toronto, are the best guys for the job. High Level Movers is a Toronto moving company that provides every type of services and in the GTA, throughout Ontario, and across Canada. In fact, we are a certified moving company that offers advanced services to our customers. It will be good to say that we are incomparable to any usual moving and storage company. We ensure professional moves. All of our movers are meticulously trained. They are all set with all the skills required for incomparable and speedy moving. We are well familiar with the fact that moving can be too stressful, so we take extra measures to make your moving day as hassle-free as possible. High Level Movers value your items as if they were their own belongings. Brittle items and delicate furniture are secured in special coverings. These materials come included in our services. We are devoted to offering a large range of services to cater to all of your moving requirements. If you are moving a house across Canada, transferring an office, or just require manpower for the day, we do everything for you. Along with this, we also offer packing, cleaning, and disposal services. Still having doubts – rid yourself of them with the help of High Level Movers! Our prime motive is customer satisfaction. High Level Movers takes moving to the next level. Contact us anytime, our phone lines are open 24/7. We look ahead to relocating you and your dear ones.